Situated on the foreshore, the park offers views of the bay from its location on the southern end of town. We offer numerous accommodation options from ensuite cabins, shady pebbled and grassed sites and ensuite sites. The park further caters to need of the disabled with a disabled cabin and amenities. Adjacent to the park sites a shaded playground to entertain the children and the beach allows swimming. There are also boat launching facilities nearby with permits available from the kiosk. Tumby Bay is a thriving town hugging a beautiful sandy bay. The town offers a great range of shopping, hotels, bakery, gold factory, craft shops, art gallery and skills centre offering local grown and made produce. A walk along the interpretative mangrove board walk on sunrise or sunset is the best time to see coastal plants and bird life of the area. Local tourist drives (shown on the local Tumby Bay, Port Neill and district brochure) give a look over our farming area thru to the coastal beaches, fishing spots and museums. While staying in Tumby bay Sir Joseph Banks Group Of Islands offer a great area for the boating and fishing enthusiast with a large variety of sea birds seals, dolphin and fish, such as King George whiting. Enjoy a tour of the town on board Story’s Clydesdale horse and trolley ride. 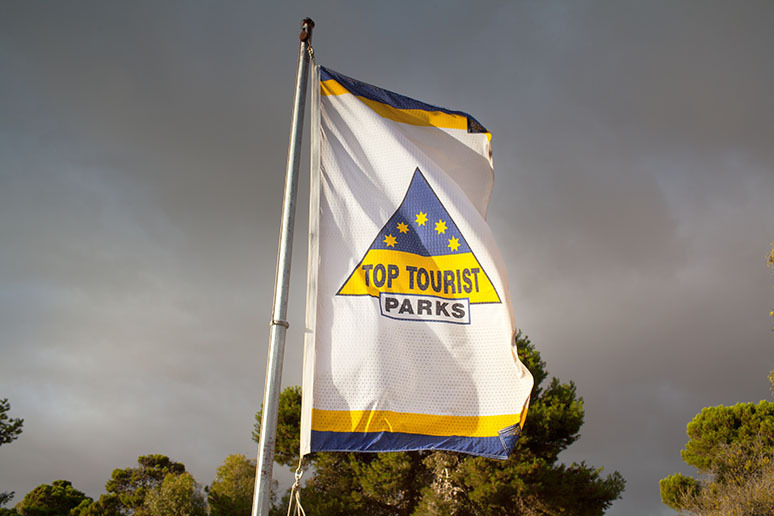 Towns around the area to enjoy a day trip to are Cummins, Coffin Bay, Port Lincoln or Port Neill.